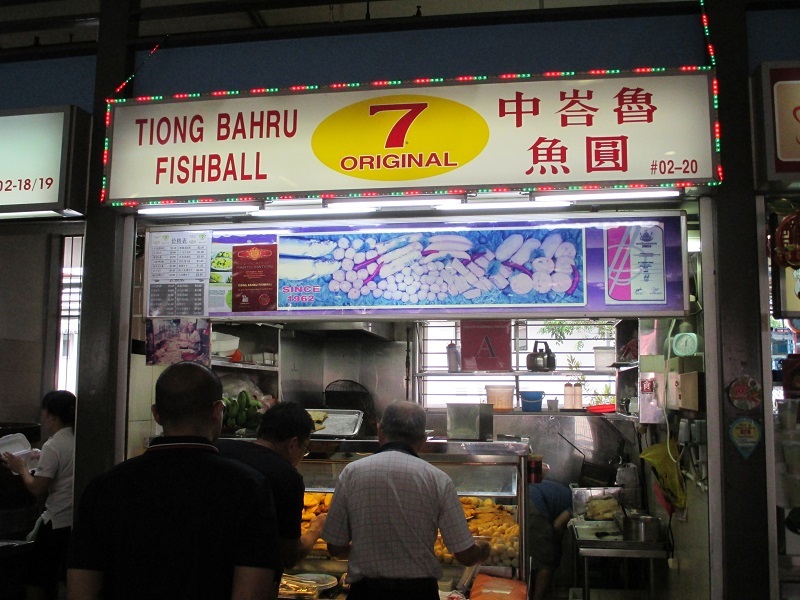 Tiong Bahru Fishball sells a wide range of the fish products, besides the common fishball, fish cake, the stall carries the otah flavour fish cake, sotong ball and many others fish related products come in different sizes and shapes. 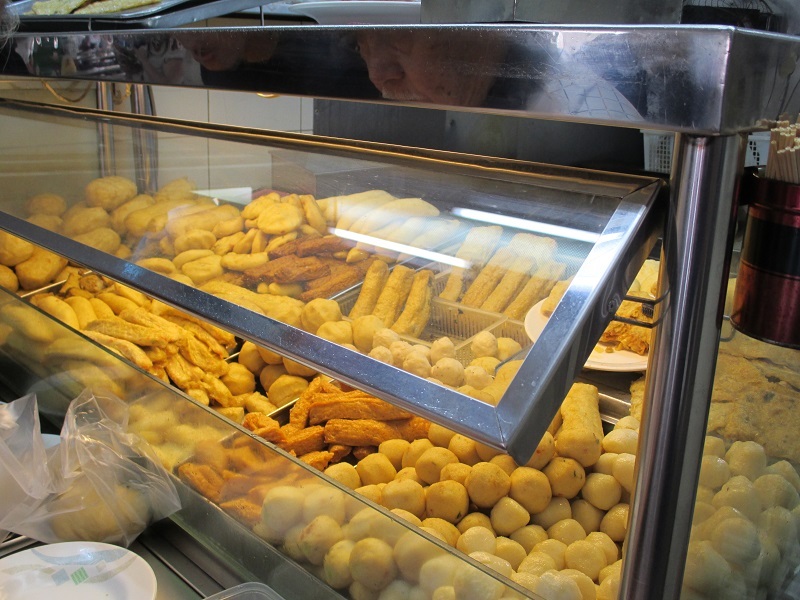 Good fishballs and fish cake must be made from the freshest fish, choices can be the wolf herring or ikan parang (西刀鱼), yellowtail snapper (黄尾鱼) or Spanish mackerel or Ikan Tengiri (鲛鱼). Yellowtail snapper and wolf herring are the more common fishes used to make fishballs here. 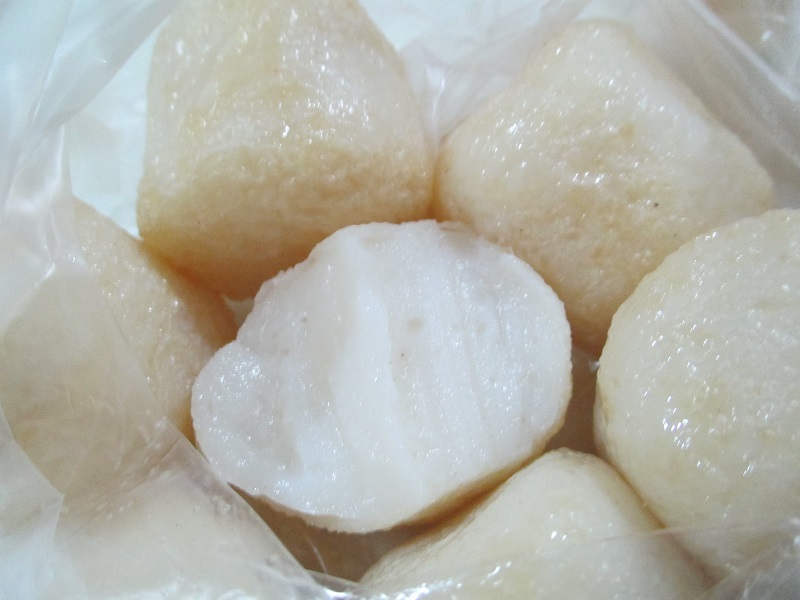 In the market, cheap fishballs are generally mixed with plenty of flour and the taste is simply featureless with horribly texture, the type of fish used is another important factor to decide a good or bad fishballs. 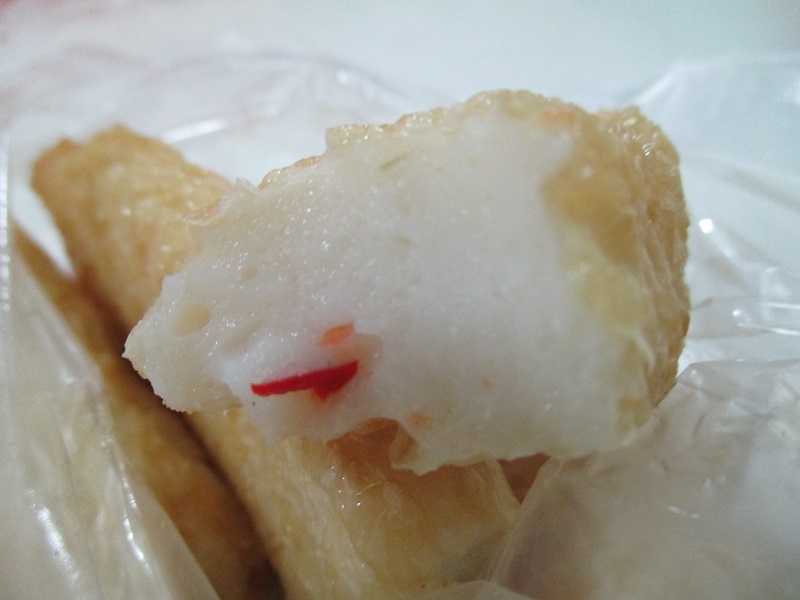 Besides the quality of the fishes used, the act of producing good fishball is just important, the processing technique especially the fish paste has to be kneaded and beaten to achieve the gooey and bouncy texture. Salt are added to boost the flavour, of course, shredded chili and vegetable may be added to increase the variations. Tiong Bahru fishball has acceptable taste and texture, we preferred the deep fried fishballs than the fish cake, may be the slight golden brown crisp on the exterior somehow gave the extra kick to the taste. The otah fish cake was not too impressive; neither tasted like the fish cake nor the otah flavour. Overall, Tiong Bahru fishball may not be the best but definitely one of the better fried fishball in the market. Of course, the use of fresh ingredients and the right processing fish paste method certainly help. Do u know how much does it cost?? Am considering ordering quite a bit of it.. Hoping to get a reply, Thanks!